USBFlashCopy backs up/synchronizes from external storage on the fly. 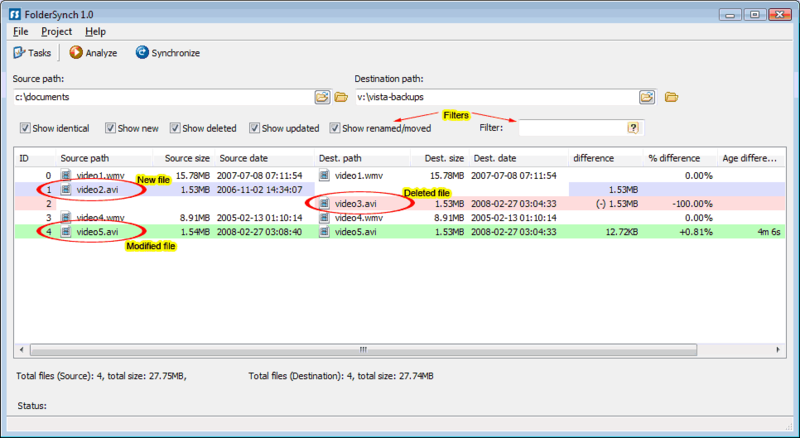 The program runs in the background and copies all or select files from inserted media to a destination of your choice. Includes available copy throttle speed, minimum free space check to avoid filling up your drive, file filters, and can even be set to only copy from selected drives (by serial number). New drives plugged in are prompted for a new copy profile and transfers include a progress bar. Ideal for people who do much of their work on remote computers and need to automate the process of backing up their files. Functional in 64-bit. Note that fully transparent operations (no user notification; runs entirely in background) are only available in the registered version. How to extract: Download "(No installer)" usbflashcopy.exe to a folder of your choice and launch. 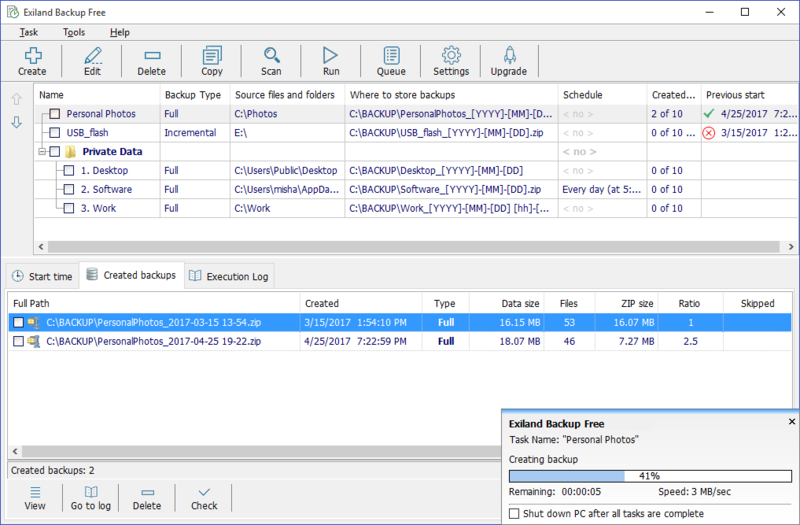 Back4Sure is a feature-rich backup solution for typical backup use. The program can make a backup to hard-disk, USB drive or network and can also be compressed using high or low compression settings to a ZIP or 7-zip file of various compression levels, as well as encrypted for security. Other features include filters to backup or exclude specific file types, a cleanup mode to remove old archives, and creation of one or multiple zip files (separated by directory structure). Backups are saved by directory structure either inside the archive or inside the directory for easy restoring. Users can also use multiple settings profiles, or "job" files. How to extract: Download the "Portable version" ZIP package and extract to a folder of your choice. Launch Back4Sure.exe. Fixed a bug in the copy routines for alternate data streams of folders, that sometimes causes an erroneously set folder date. Update of the OpenSSL libraries to version 1.0.2q. Technomancer: if you mean the entry is unclear, please let us know in forums. If you mean the program itself (and for the RAR distro issue) you might want to contact the developer directly. Cleanup is optional - it is very close related to an incremental backup. Using this you have to select the same Target Directory as before to backup only changed files and to delete files on the backup that have been deleted on the original file system as well (the latter one is the actual Cleanup). It's a crying shame that you can only backup folders with this tool, and not individual files within those folders (yes, I know you can set filters, but unless you know in advance what files you want from each folder, this is not practical to use).